Some videogames would make horrible movies, and those are the games that they tend to make into movies, so you know this already. On the other hand some games would be perfect for movies. Here are games that would make the transition to movies with ease. Buckle up and enjoy the potential cinematic journey. 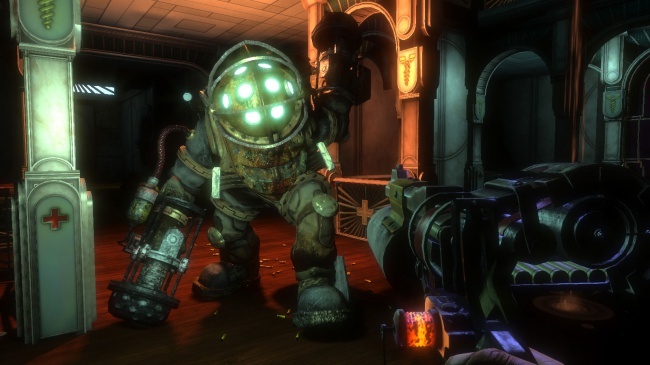 BioShock has almost been made into a movie several times already, although thanks to Ken Levine's dedication they won't be making a shoddy product. Or any product at all. I'd imagine that James Cameron could do the series justice, especially with, say, Mark Wahlberg in the lead role.